While this new mode and the campaign are the only modes that are strictly co-op, the Arcade mode will allow you to level up your character and earn gear for them that will carry over into the multiplayer modes, which is nice. Finally, the Arcade mode is available to play now if you pre-order the Marching Fire expansion. You can actually check out a portion of the game now for free on the PC or Xbox One, where the "Starter Edition" is available for $0 until Monday, August 27 on the PC, and until September 15 on the Xbox One. The Starter Edition includes three fully unlocked characters, with a few more that become playable depending on which faction you choose. Check the FAQ for full details. For Honor is currently available on the PC, PlayStation 4, and Xbox One. Two player online co-op is supported in the campaign, and two player online co-op is also supported in the Arcade mode. 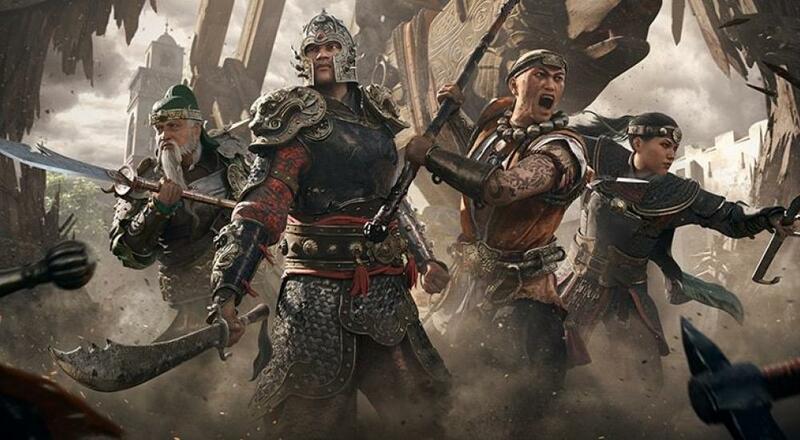 Only one player needs to own the Marching Fire expansion in order to play with a buddy. Page created in 0.7670 seconds.